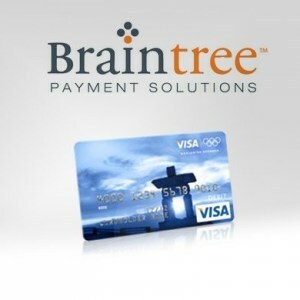 Braintree, the quiet payment processing force behind many of the hottest startups, has been pushing hard on mobile payments, which has been the fastest-growing part of its business. Now, in effort to continue that momentum and take on established players like PayPal (s ebay), it’s announced it will pay $26.2 million for payment startup Venmo, according to a report in the New York Times. Venmo, which moved from Philadelphia to New York, first appeared on the scene two years ago with a peer-to-peer payment system that worked via SMS. It finally put the whole package together in March, when it came out of beta and opened to the public, enabling people to send payments through iOS (s aapl) and Android (s goog) apps and over the web. The company said at the time it was processing $10 million in payments a month and was hoping to to get to $250 million by the end of the year. Now with Venmo in the fold, Chicago-based Braintree gets another way to build up its mobile payments business and also compete with new rivals like Stripe. The move also gives Braintree a consumer-facing business, instead of the B2B work it was doing supporting more than 2,000 companies. Braintree is currently doing more than $4 billion annually in processing volume thanks to big-name clients like Rovio, Uber, Fab.com and Airbnb. Most of that businesses was online but Braintree said about $1 billion of that was in mobile, which was growing much faster than its online commerce business. With more and more commerce moving to mobile, Braintree is in a better position to take its share of that business. It will still continue to push hard on mobile commerce but with Venmo, it also has a way to profit from peer-to-peer payments. That’s a crowded field, though. Companies like PayPal have been enabling P2P payments for years and other big names like American Express (s axp) and Visa (s v) along with smaller startups like Square and Dwolla are also in the same space. I think Venmo may have been able to make a better go of it by itself if it had launched to the public earlier. Now, it faces a lot of competition and it’s probably best that it is being folded into a player like Braintree. The purchase of Venmo will likely signal more consolidation to come in the mobile payment space. I expect we’ll see not just payment companies come together but startups all across the payment, loyalty, offers and local commerce market get rolled up over time. The deal also highlights the growing opportunities in mobile payments. As more and more people turn to their phone to pay for things, there’s a lot of money to be made. It’s very nice mobile information..